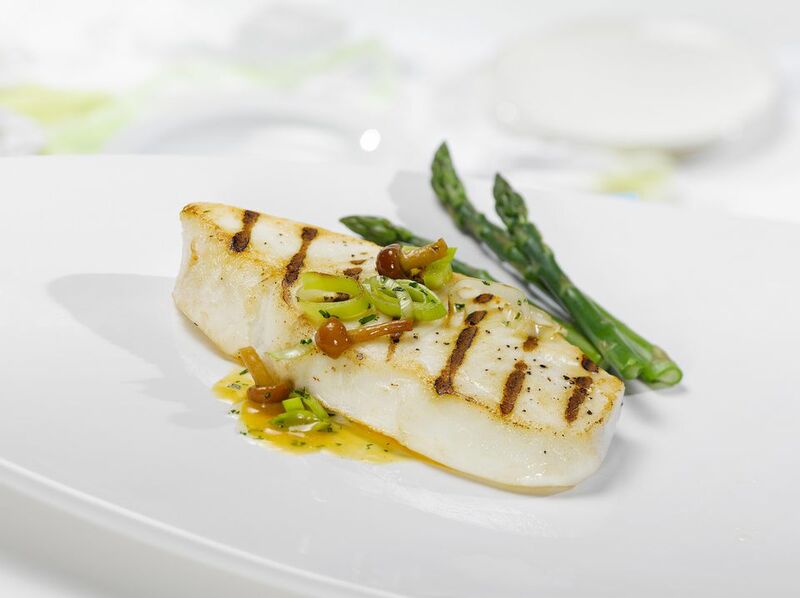 Light and refreshing, this grilled halibut has the simple, delicate flavors of lemon and basil. Serve over a bed of rice or pair with grilled vegetables. Try making this for your next barbeque and watch as your guests fall in love with your cooking. Preheat grill for medium-high heat. Season fish with salt and black pepper and place onto grill. Cook for 5 minutes per side. Combine remaining ingredients in a small bowl. Let vinaigrette sit while fish is cooking. When halibut is cooked, remove from heat and drizzle with vinaigrette. Serve with your favorite grilled vegetables.